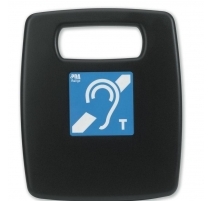 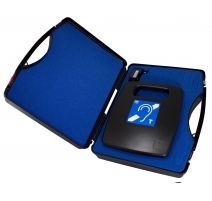 Excellent for restricted person-to-person contact in banks, post offices, small meeting rooms, reception desks, open plan offices and ticket booths, our popular 1.2m2 portable hearing loop systems are lightweight and can be easily moved from location to location. 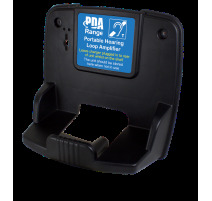 With an automatic shut-off facility (user selectable for 10, 30 or 60 minutes) to help preserve battery life, the system can be used as normal whilst charging. 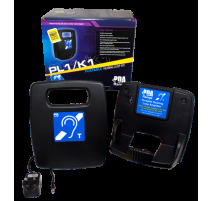 1.2m sq Portable Hearing Loop Systems There are 3 products.